Look out sports fans, there’s a new team in town! 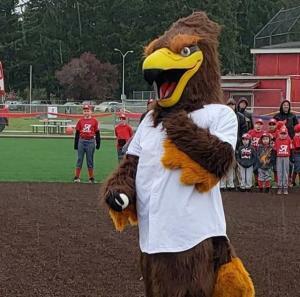 The Ridgefield Raptors—the latest addition to The West Coast League, a summer wood bat baseball league for college-eligible student-athletes—has announced Rally the Raptor as their fearless, feathered leader (of cheers and good times). The bird of prey pays homage to the nearby Ridgefield National Wildlife Refuge. 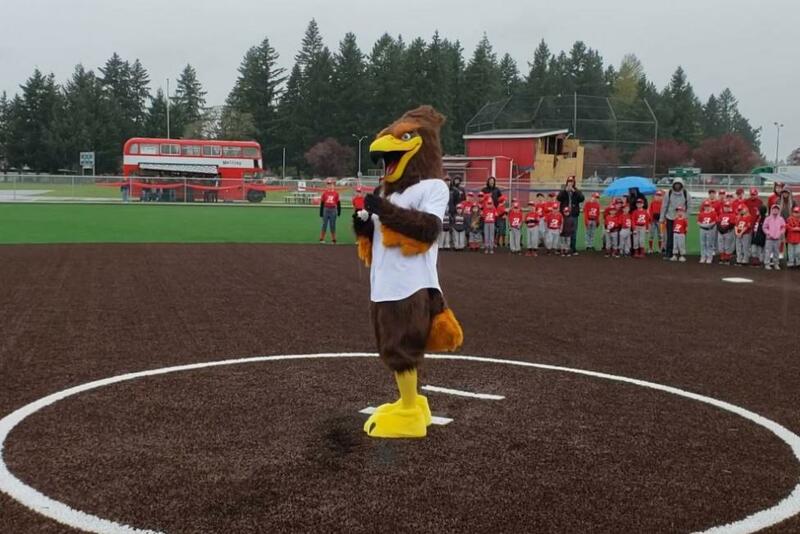 The Raptors take the diamond at the brand new Ridgefield Outdoor Recreational Complex for the first time on June 4, and have 33 home games on the schedule for their inaugural season. The team has attracted players from across the country, including Texas, California, Arizona, and even Puerto Rico. Two Vancouver-natives are heading home to play the summer season, playing for Gonzaga University and Washington State University during the school year. 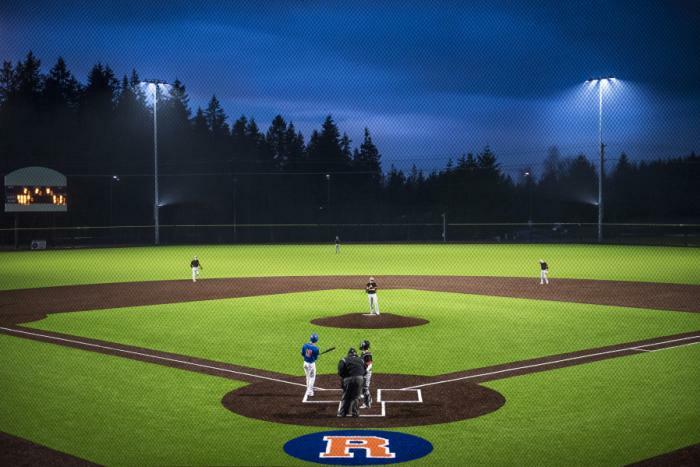 The team will challenge familiar local opponents like the Portland Pickles and Cowlitz Black Bears, and teams from as far north as Kelowna, Canada and as far south as Bend, Oregon. With tickets costing $5 to $17 each, viewing a match-up is an affordable outing for families and 21+ groups alike. Food trucks will be rolled in for game time and the beer will be sold on the opposite baseline as the kid-friendly picnic tables. Choose a spot on the berm or splurge for one of the 663 blue and orange stadium seats. Keep an ear out for themed pop culture and dedication nights! Single-game tickets went on sale April 15. If you are coming from out of town, take advantage of this special “fan rate” at the Holiday Inn Express—just follow the link and enter the dates for the discount code to be applied. Find more local sports events and updates on our Facebook and Twitter pages.